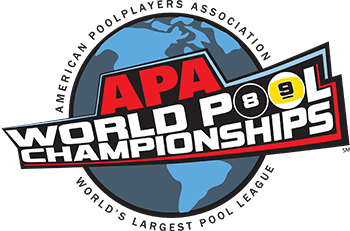 As the Governing Body of Amateur Pool, the American Poolplayers Association (APA) is honored to conduct the 26th Annual U.S. Amateur Championship. Since the inauguration of this event in 1994, the level of competition continues to improve year after year. Only a small percentage of the best amateur players choose to play for the glory and love of the game. 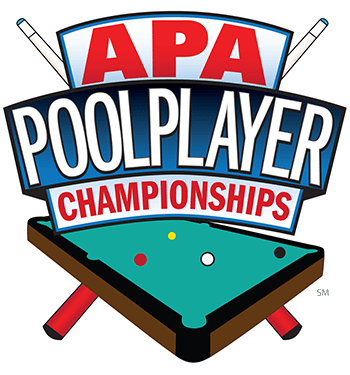 Those who enter this event will experience the highest level of amateur billiard play in the United States. Therefore, the U.S. Amateur Championship is only intended for the finest amateur players. The competition will be relentless, and every match won will be well deserved. If you think you’ve got what it takes to be the next U.S. Amateur Champion, we encourage you to enter this event and find out! Think you have what it takes to compete against the best? Register to take your shot at next year’s most prestigious amateur billiard event. Stroker’s Sports Bar & Grill is a smoking venue; however, smoking is not allowed during the Championship Rounds. If you have several patrons who want to participate, you can host a Qualifier event and sponsor the winner. The entry fees you generate would cover your cost to send him/her to a Preliminary Round. Each year, national billiard magazines and local newspapers across the country feature participants and winners of the U.S. Amateur Championship. This is a great promotional opportunity for your business. If you sponsor a player who finishes in the Top 5 of the U.S. Amateur Championship or in the Top 3 of the Womens U.S. Amateur Championship, you’ll receive a commemorative plaque for your establishment. In addition to advancing to a pro event, each Champion will receive a magnificent trophy and event jacket. Both Champions receive a one year free APA membership and are invited to return to the Championship Round the following year to defend their titles. Returning Champions also receive complimentary airline travel, courtesy of APA. The winners receive paid travel*, lodging and entry into a 2020 pro event. *Ground transportation(cab, rental car, etc.) will be at player’s expense. All lady contestants advancing to the Championship Rounds of the Womens U.S. Amateur Championship receive two nights complimentary private lodging. Contestants advancing to the Championship Rounds of the U.S. Amateur Championship receive three nights complimentary private lodging. Reservations must be made by Oct. 11, 2018. The rate is $109 plus tax for any additional nights stay. APA will also cover an additional night of lodging for those players still competing on Sunday. Call your travel professional or United Meetings at 800-426-1122 for reservations. Have questions or need more information on the U.S. Amateur Championship? Contact us at 636-625-8611 ext. 5510 or ndunn@poolplayers.com. See where preliminary rounds will take place. See past U.S. Amateur Championship winners. View photos from the U.S. Amateur Championships.